Before traveling to Japan, we had no idea that we would be able to visit Hiroshima, the site where the first of two atomic bombs were dropped on Japan. I had always imagined Hiroshima to be a radioactive wasteland, a terrible, lingering reminder of the horror of WWII. As we learned today, that is not the case at all. 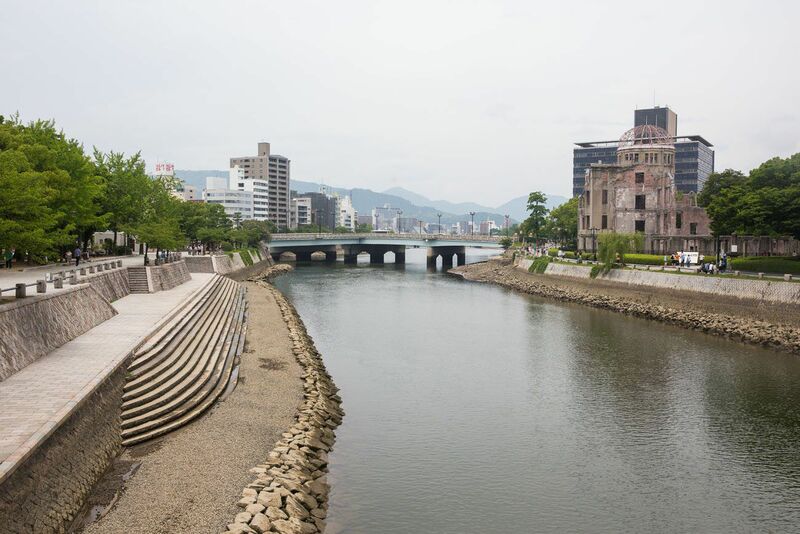 Hiroshima is a thriving city, very much alive and well, with barely a trace of the destruction that occurred here seventy years ago. 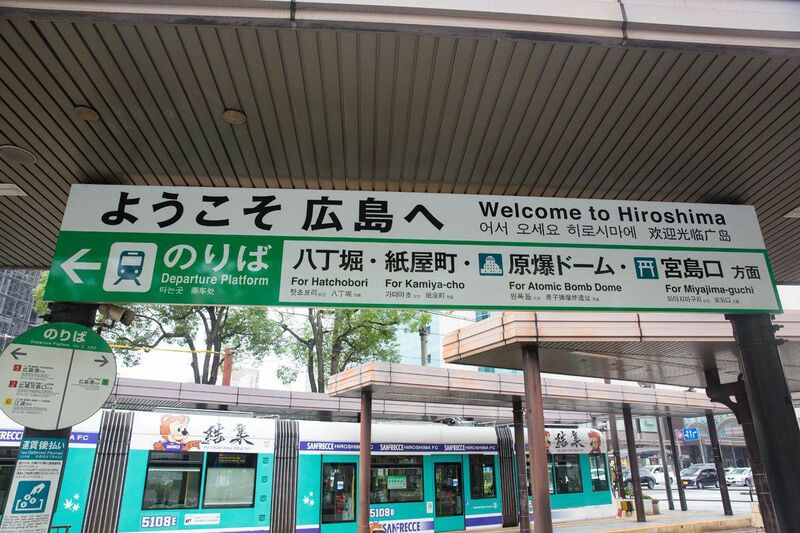 A day trip to Hiroshima is very easy from Kyoto. If you look at a map of Japan, Hiroshima is quite a distance away from Kyoto, 354 kilometers, to be exact. In a car, this journey would take almost five hours. Enter in the Shinkansen. A journey on these legendary “bullet trains” cuts the travel time by more than half, taking just over two hours to travel from Kyoto to Hiroshima. There are several Shinkansen lines that make the journey between Kyoto and Hiroshima. Since we had the JR Pass, we rode on the Hikari line from Kyoto Station to Shin-Osaka, which took only fourteen minutes. At Shin-Osaka we changed trains, traveling on the Sakura line to Hiroshima for a travel time of one hour and 27 minutes. Trains run every half an hour and had plenty of extra seats. But don’t be late! I read that the Shinkansen is rarely late, averaging within 6 seconds of the scheduled times. From the Hiroshima Station there are several ways to get to the Hiroshima Peace Memorial. Taxis are the easiest and most comfortable way, but also the most expensive. 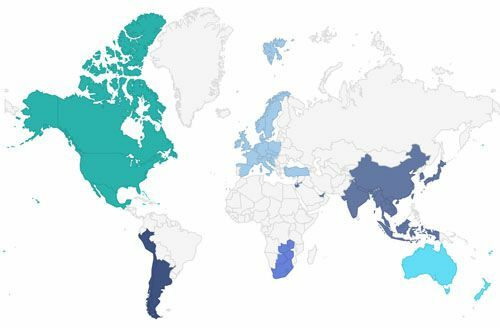 Walking is a possibility and it takes about 30 minutes according to Google maps with a distance of 2.6 km. We chose to take the tram. Trams run very frequently, drop passengers off right at the Atomic Bomb Dome, and cost 180 yen per adult and 90 yen per child ($5 USD for our entire family). During this twenty minute journey we got our first views of Hiroshima and the large, thriving city that it is. The main sites are all clustered together in and around the Memorial Peace Park. If you take the tram, get off at M10, Genbaku Dome Mae, the stop for the Atomic Bomb Dome. On August 6, 1945, the Enola Gay dropped the first of two atomic bombs over Japan. The atomic bomb exploded 600 meters in the air over Hiroshima. The blast and the heat wave leveled the city almost instantly, leaving only several well constructed buildings somewhat intact. 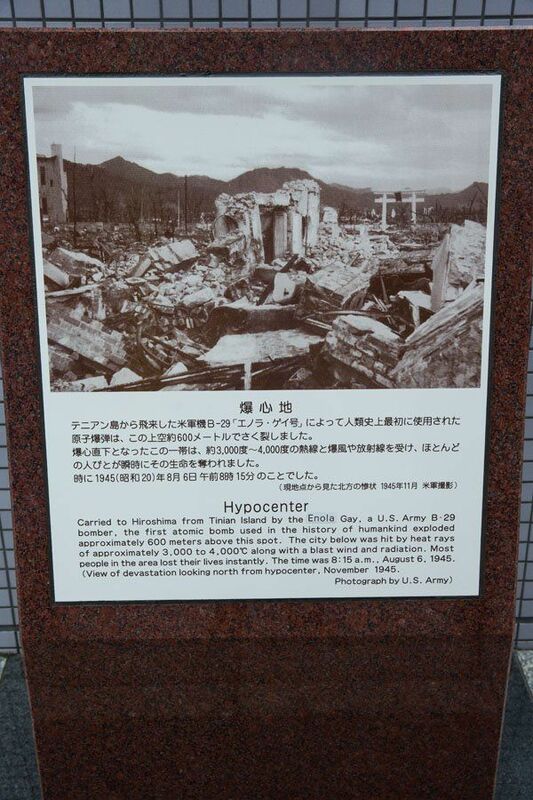 At the hypocenter, people were killed instantly. Further away from the hypocenter there were “survivors,” but many of these people died within a few days to a few weeks, victims of radiation sickness. Those people who lived on the outskirts of Hiroshima survived the bombing but many of them were afflicted with cancer and other medical problems in later years. After the bombing, buildings in Hiroshima were dismantled as part of the rebuilding process. The Atomic Bomb Dome, known before the bombing of Hiroshima as the Hiroshima Prefectural Industrial Promotion hall, was intact enough that it was one of the more difficult buildings to dismantle, so it was saved to the end. 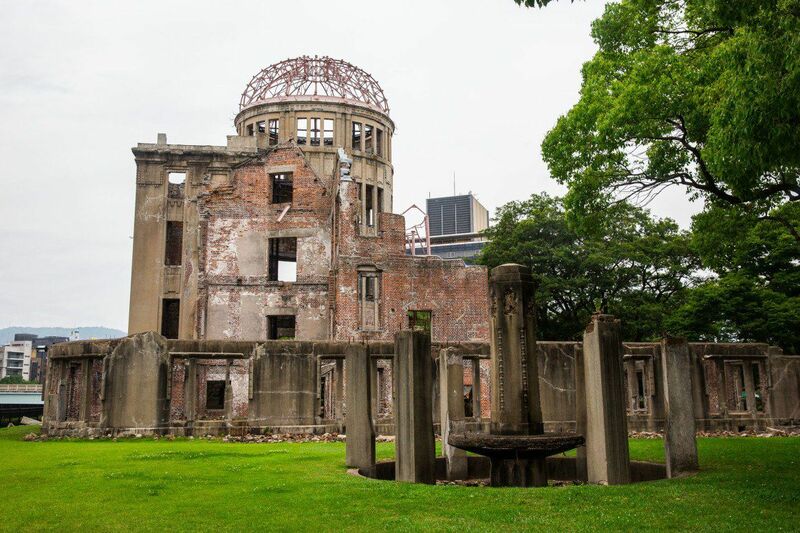 As photos and videos of the Hiroshima destruction were aired, the Atomic Bomb Dome became a symbol of the bombing of Hiroshima and it was left in place. Now the Atomic Bomb Dome sits behind a fence and is surrounded by green grass and trees. Highrises tower in the distance, people are going about their normal lives, and other than seeing this building, I never would have imagined the level of destruction that existed here seventy years ago. From the Atomic Bomb Dome we walked five minutes to the east, into town, looking for the hypocenter of the bombing, also known as Ground Zero. 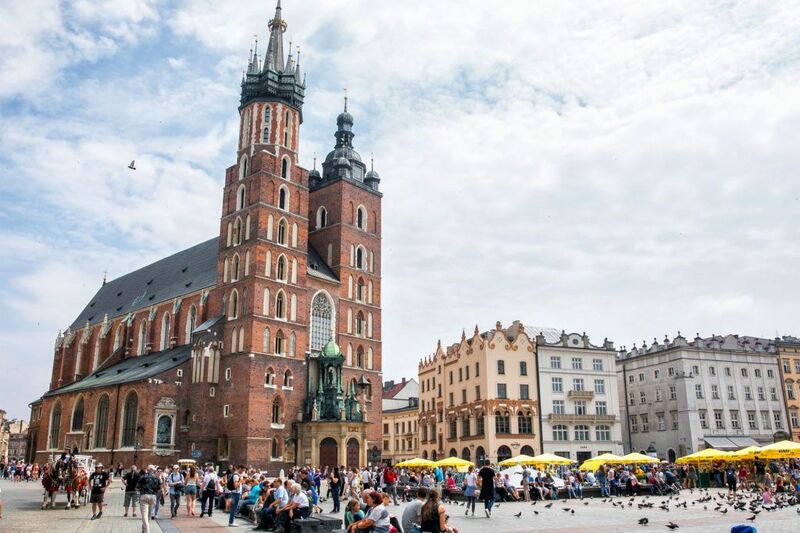 This is a place that many visitors skip, probably because it is so hard to find. We wandered around the block and eventually stumbled upon it, a small marble monument on the side of a narrow, city street. 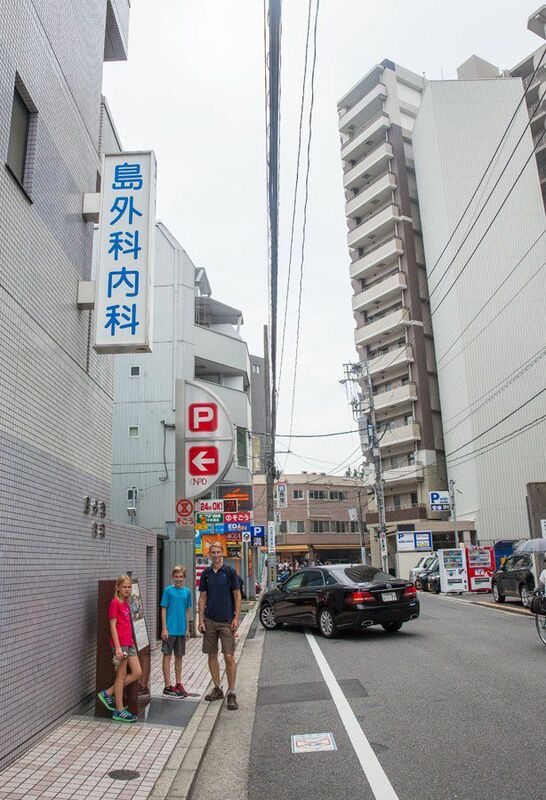 The hypocenter is the point where the atomic bomb was detonated, 600 meters off of the ground. It is marked by a small, marble monument on a normal, downtown street. We stared up into the sky, trying to imagine what it would have been like to have been here on that fateful day. Finding the Hypocenter. If you are trying to find the hypocenter, look for Shimasjukhuset, a medical clinic, and the monument is located on the street right in front of the building. From the Hypocenter we walked back to the Atomic Bomb Dome and to the bridge over the Ota River. 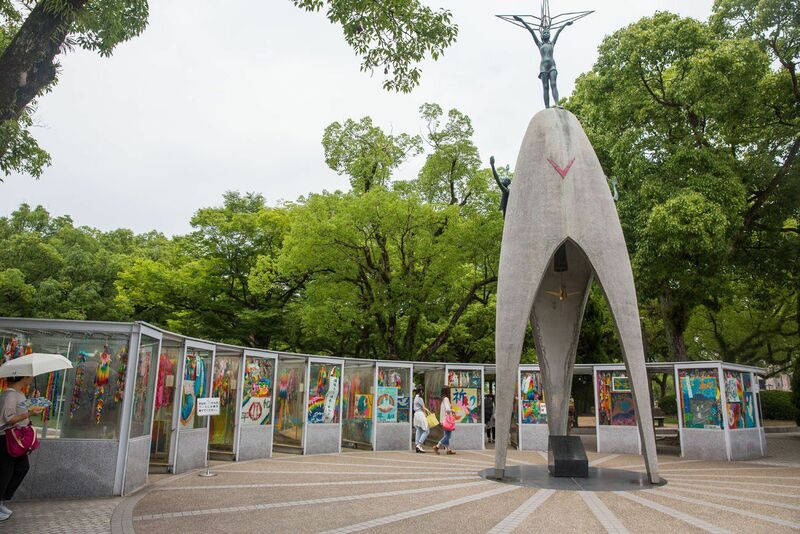 The Children’s Peace Monument is a monument that stands in memory of all of the children who lost their lives as a result of the atomic bombing. As we walked south through the park, next on the list of sites was the Cenotaph. 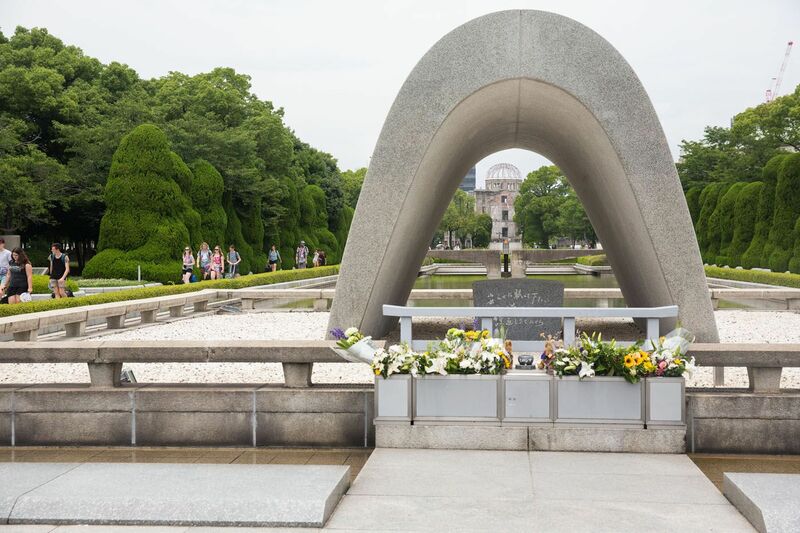 The Cenotaph frames an “eternal flame,” and it is said that this flame will be burning until all nuclear bombs are eradicated. Unfortunately, I think that this flame is going to be burning for a long time. 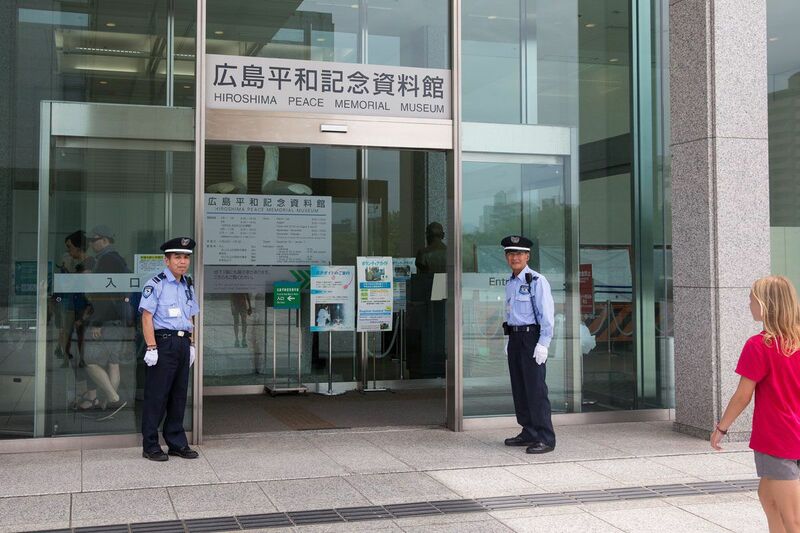 It was wonderful entering the cool confines of the Hiroshima Peace Memorial Museum. It is July and it has been so hot during our stay in Japan. We were practically running into the museum just to get a break from the heat. 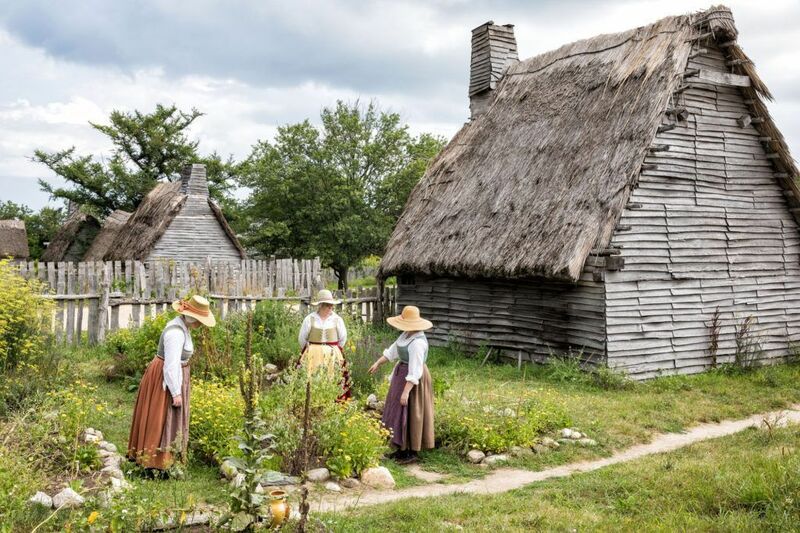 During our visit in 2015, the museum was undergoing refurbishment so most of it was closed. We were still able to walk through the best of the exhibits, giving us a fascinating, and somewhat disturbing, look into the destruction that occurred with the bombing of Hiroshima. Here we learned about the impact the bombing had on the city of Hiroshima and its people. Some of the exhibits are very graphic. There are statues of women and children walking through the rubble, their skin literally hanging from their arms. Kara wondered why they looked like zombies, which then led to lessons on radiation sickness and the effects it has on the human body. None of them are very good. 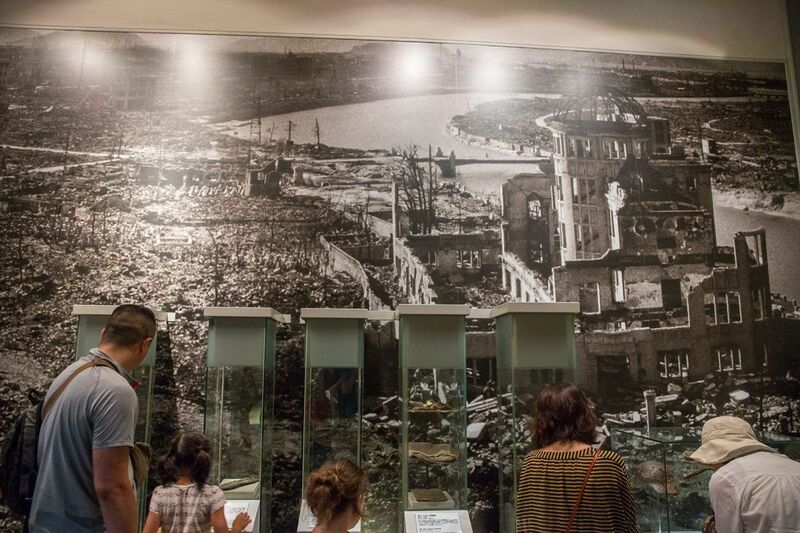 Enlarged photos on the walls showed the aftermath of the bombing…photos of the mushroom cloud, fields of rubble, photos of people who were injured, burned, or showing signs of acute radiation sickness. 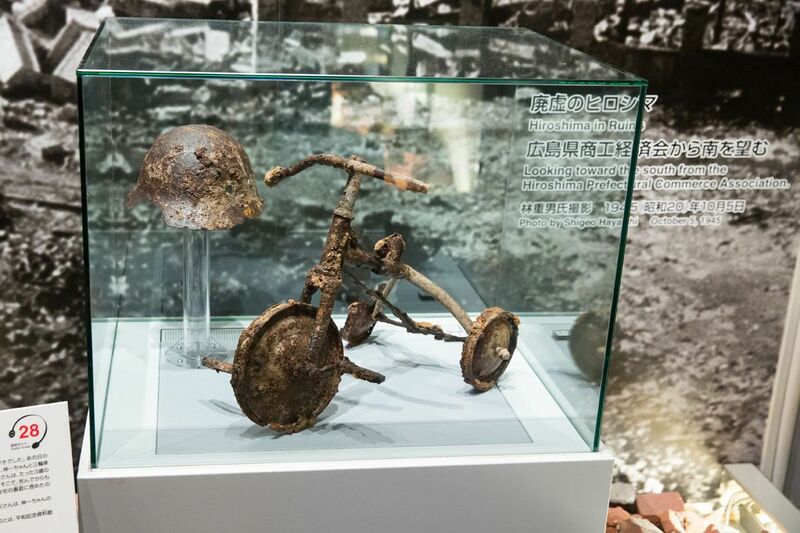 On display were roof tiles that had melted, a tricycle that had been incinerated, and clumps of glass bottles that had been melted together. As we walked farther into the museum, we all learned more about the effects of radiation on the human body. Children born in the months after the bombing usually had some sort of birth defect. There were even deformed body parts preserved in jars, on display for all of us to see. It was morbid and depressing, but also another learning experience for the four of us about the atrocities of war. Beginning with our arrival at the Hiroshima Station, our entire visit through the museum visit lasted two hours. This leaves plenty more time in the day to see more sites around Hiroshima. For us, it was time for lunch. Our history lesson, one of the best we have ever had, was over, and now it was time to try some new Japanese food. With a little research, I found a place that serves okonomiyaki, a Japanese “pancake” cooked with a variety of ingredients. From the museum it was a fifteen minute walk to Okonomi-mura, a three level building that provides a variety of these restaurants on every floor. We randomly chose one of the busier places on the second level. As we took our seats, we had no idea what to expect. 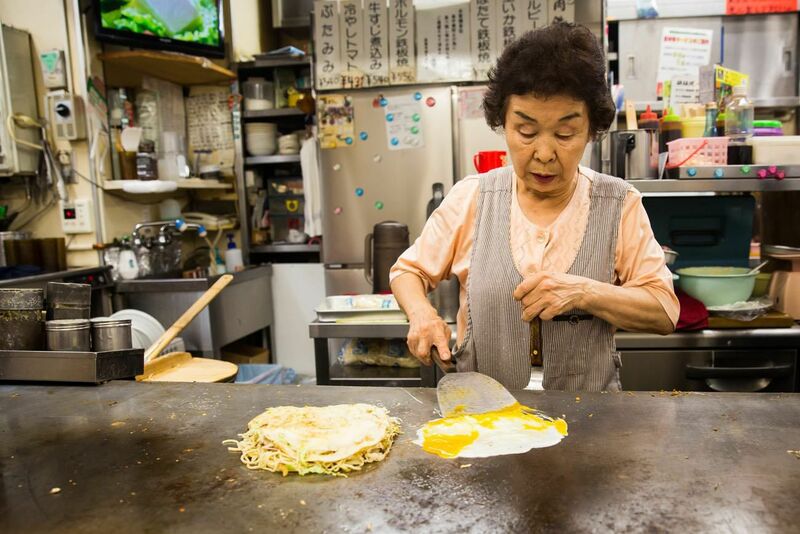 Okonomiyaki started as a cuisine where leftovers were cooked with a Japanese pancake batter. Nowadays, fresh ingredients are used. Our meal was cooked on the grill by two Japanese women right in front of us. The batter is spread on the grill, covered with cabbage, seasoned, and to this noodles and thin strips of beef are added. An egg is cracked opened onto the griddle and fried and the pile of cabbage is flipped over onto the egg. It is seasoned again and then served hot. Watching the women cooking this was like watching a show. The food was delicious and another one of those meals where the enjoyment came not only from filling our stomaches with good food but trying something new and unknown. If we had wanted to, we still had plenty of time to visit more sites around Hiroshima. 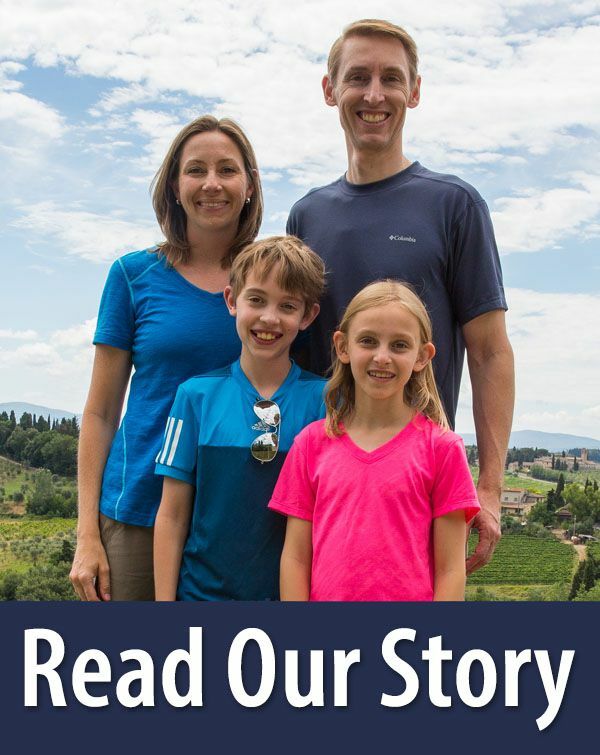 Honestly, the heat and humidity were getting to all of us, and the thought of slogging through the heat to another castle or landmark just wasn’t thrilling us. Our tour of Hiroshima ended here. We took the next Shinkansen back to Kyoto, ending our first of several day trips from Kyoto. Is Hiroshima Safe to Visit? This was one of our big questions before coming here. What happened to all of that radiation? Were we risking our health by visiting Hiroshima? The answer is no. Radiation levels are back to normal in Hiroshima and have been this way ever since the end of 1945. Since the bomb was detonated in the air, most of the radioactive material stayed in the air and did not settle to the ground. A tropical storm hit Japan 27 days after the bombing of Hiroshima, washing the dangerous radioactive material out of the air and making it safe to live here. This was all explained in the museum and is one of the most common questions that people have today. There are two other important sites in Hiroshima. The first is the Hiroshima Castle, located just a short walk north of the Peace Park. 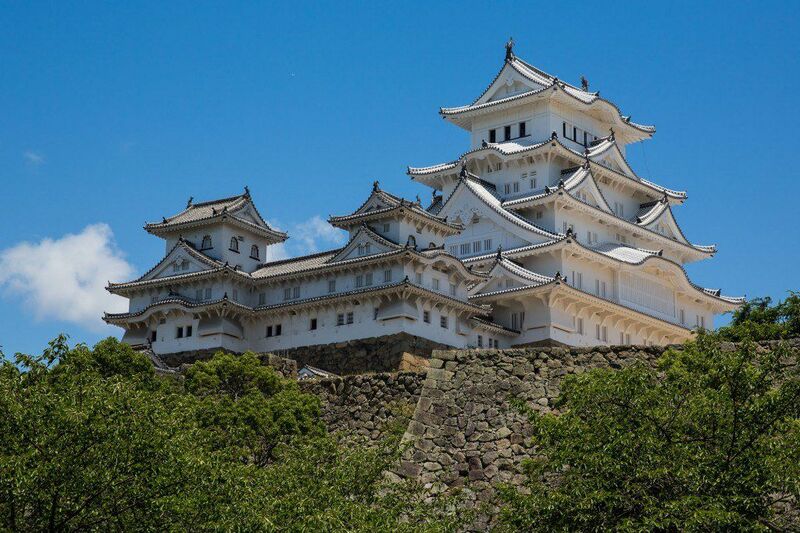 This castle was destroyed in the atomic bombing of Hiroshima and later rebuilt in 1958. It looks like a smaller version of Himeji Castle. Miyajima and its iconic Shinto gate in the water is located south of Hiroshima. 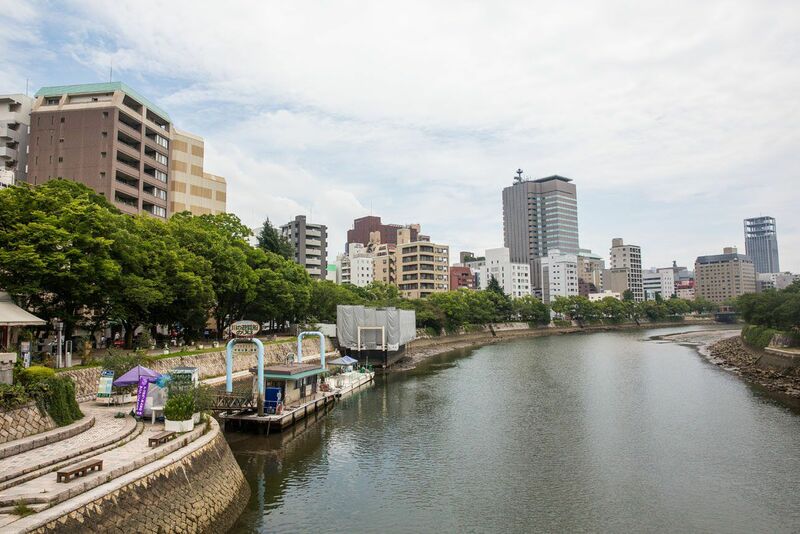 Getting there requires a combination of land transportation and a ferry ride one way, so it requires more effort in getting there than Hiroshima Castle. 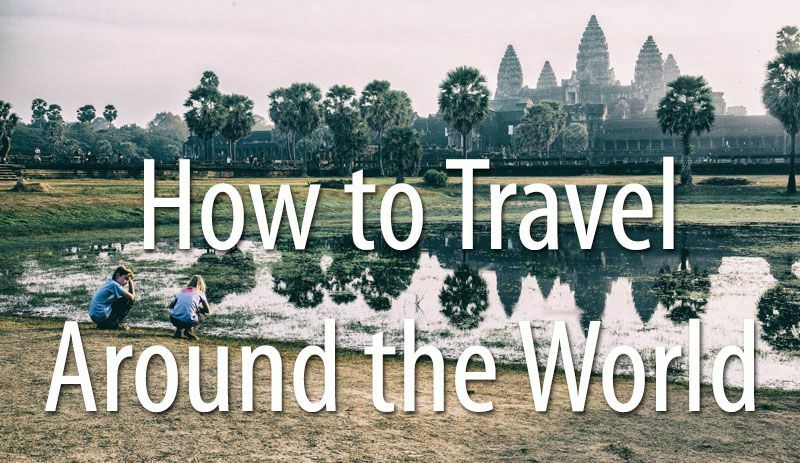 On average, this journey takes an hour one way. 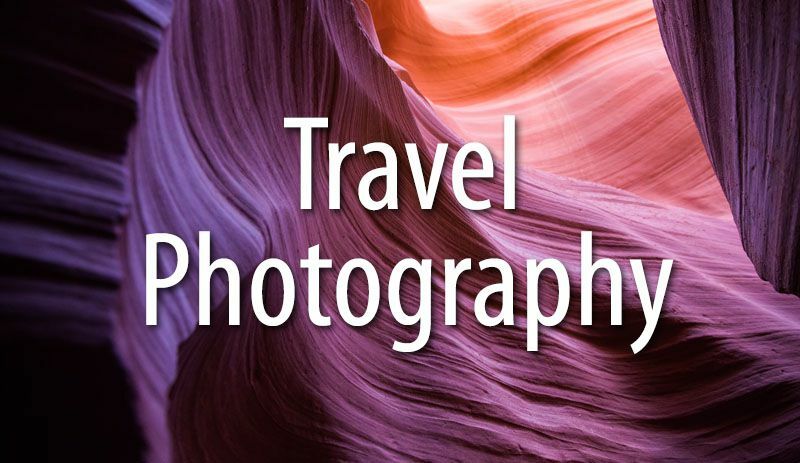 For more info on how to get there, click here. 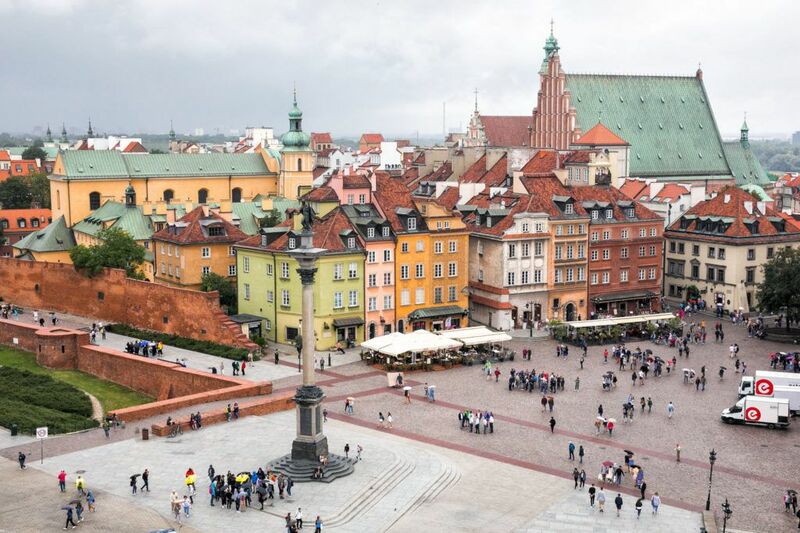 The Atomic Bomb Dome, Ground Zero, Children’s Peace Monument, and Cenotaph are all free to visit. We had the seven day JR Rail Pass, which gave us unlimited travel on JR trains for seven days. This includes JR metro and train lines in cities as well as most Shinkansen lines. We were in Japan for two weeks but have grouped our day trips into a time span of seven days in order to maximize the benefit of the JR Pass. 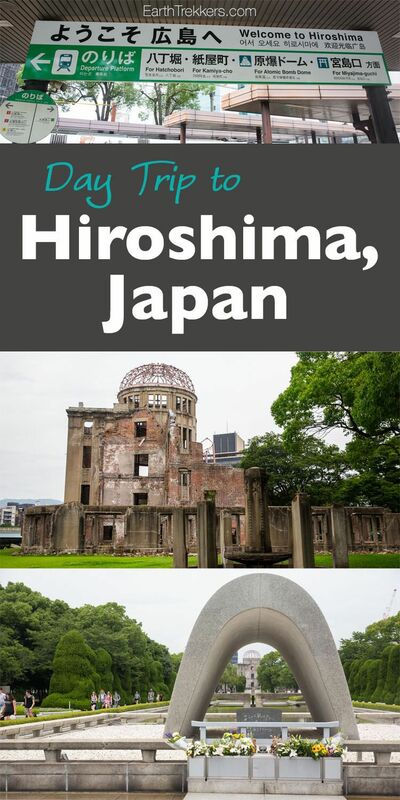 With Japan’s Shinkansen trains, a day trip to Hiroshima from Kyoto is fast, economical, and an excellent history lesson for those who are interested. Are you planning on visiting Hiroshima? If you have any more questions, comment below! 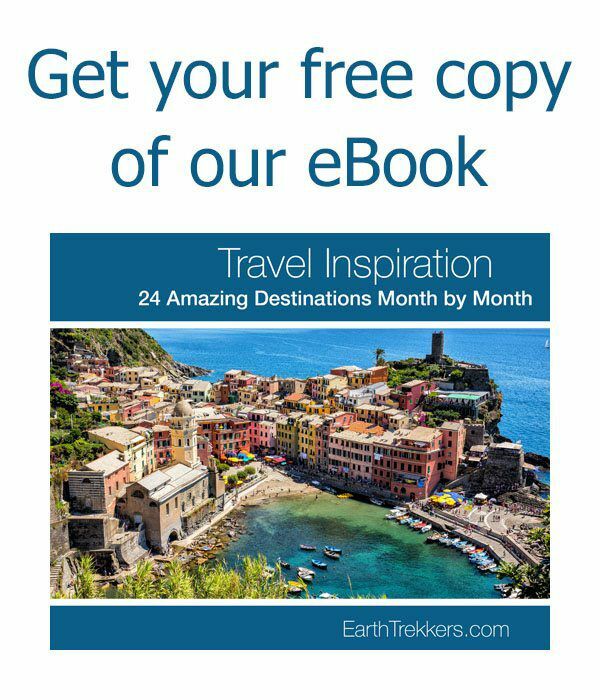 Planning a trip to Japan? 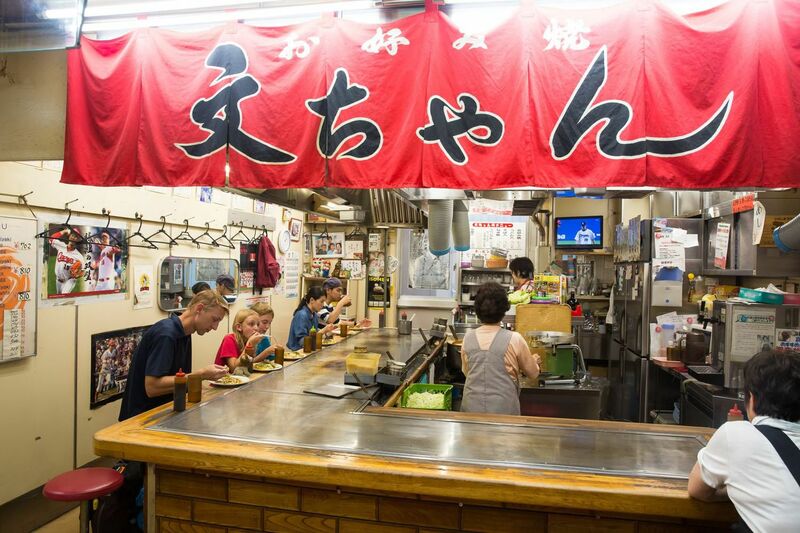 Read all of our articles in our Japan Destination Guide. I’ve been there last month and if you have a JR Pass there’s a free hop on hop off bus from the train station, they have different color free buses that do different routes in the city. Just exit through the left side and go down on the bus station, there’s also a information site closeby. Hi greeting from Indonesia ?? Thank you very much for your very detailed information. This is very helpful as I’m going there this June with my parents who are in their late 70s so I need to prepare well ? Should Hiroshima be done as an overnight from Kyoto, or best to and fro Kyoto in same day? 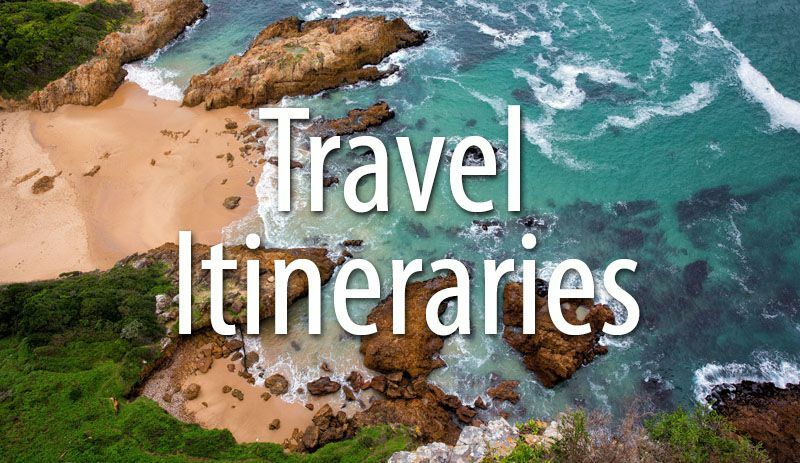 I will be solo in Japan for about 10 usable days (June) and I was planning on days around Tokyo (for flights) and a few days in Kyoto, but I’m completely flexible otherwise. Excellent Thank you for the tip! Does Hiroshima station have good luggage storage, I think instead of going back to Kyoto I would like to go on to Osaka (for day or two) before heading back to Tokyo. however I don’t know time wise how feasible that idea is. I am not sure if Hiroshima has a place for luggage storage. You might want to contact the station or do an online search to see if this is an option for you. Sorry I can’t provide more info than that! Thanks for your post. My daughter and I used it as a guide for our trip to Hiroshima yesterday. One note for other travelers who might be reading this in 2017 – the tram (look for Streetcar on the exit signs) now costs ¥160/80. I was worried we would miss our stop but there are signs at each station listing the stop name and number, like the subway. If you are using the JR Pass, you can take a sightseeing bus from the Shinkansen exit of the station for free using the pass. 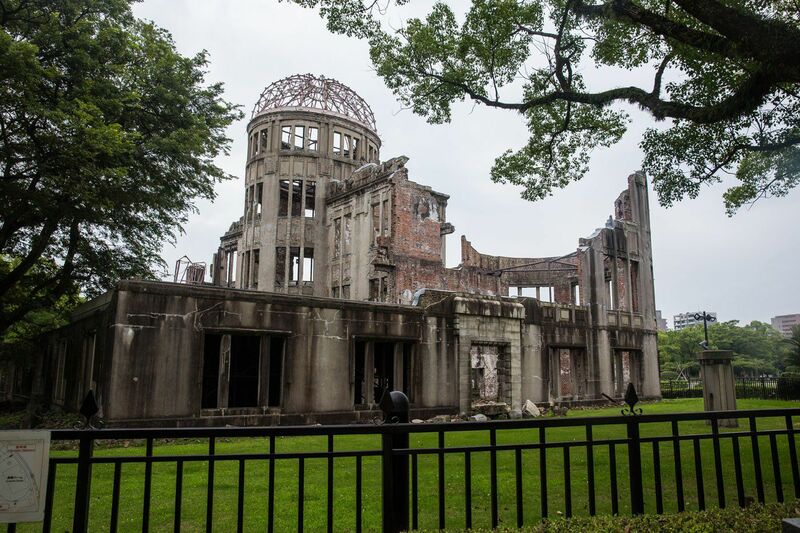 There are stops at the Atomic Dome and the Peace Museum and then other sites in Hiroshima. I am hopefully going to be in Japan for the next few years in Honshu Iwakuni not too far from Hiroshima. 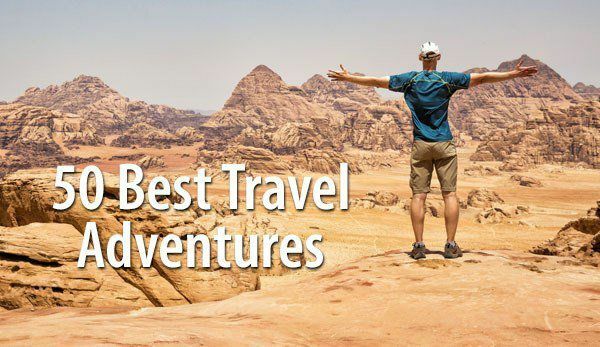 What ideas and tips do you have for travel and living there? I have many questions. Thank you for such great information on Hiroshima! I am so happy I found this! You literally answered EVERY SINGLE QUESTION I had about Hiroshima. I will be traveling to Osaka and Kyoto with my 1.5 year old (just the two of us) and most of my trip is centered around parks and cherry blossoms so that he can have plenty of space to explore and walk around, but I am so I retested in Hiroshima that I want to visit anyway even if it may be more boring for him. I am half there is no dangers in going as of course this was the most important stopper I had, AND so glad to see it’s very easy to do on my own- I was searching for day tours and they cost like 400 USD!!!! My name is Nate. I plan on going to stay in Hiroshima for a day. I will definitely look into what you all did. This is super helpful. The first day I plan on leaving from Kyoto Station early AM to Hiroshima Station, dropping my stuff off, then head to Miyajima! 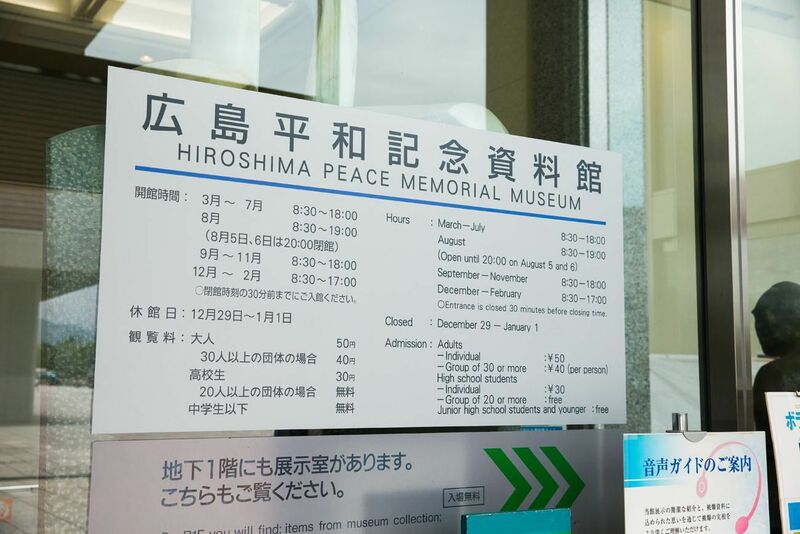 I’d probably get back late but that would be good with me because I’d then see the Peace Museum when I’d wake up and spend half the day in Hiroshima. Any advice would be appreciated. Very detailed and useful suggestions. Planning to go to Hiroshima tomorrow.